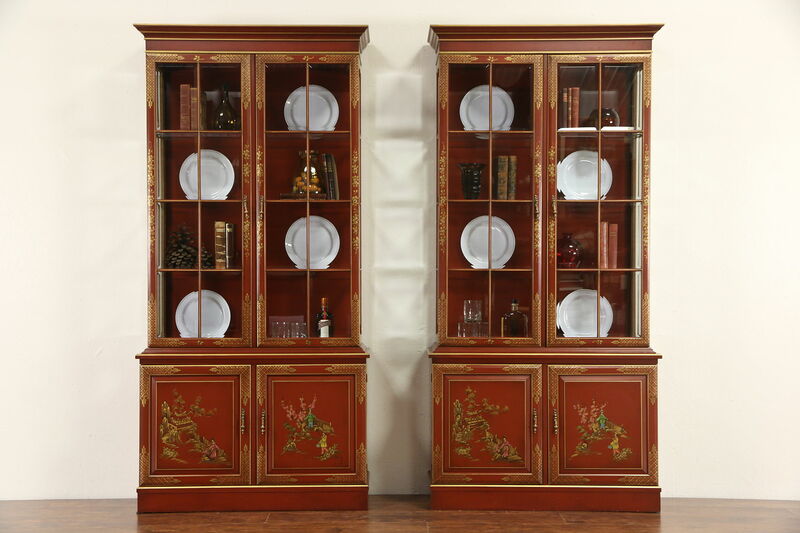 Lacquered and hand painted in the Chinese manner, a pair of curio or china cabinets with beveled glass panes are about ten years old. Subtly accented in gold, this vintage custom designer furniture is American made, signed by the artist, "Delores Dimas." The original finish is in extremely fine condition with minor mars at the base, see photos. Lower doors have raised panels, shelves have grooves to display plates. Dimensions are 41" wide at the crown, 14" deep and 86 1/2" tall.